Turquoise has a long standing history in the world that goes so far back as to predate its own name. 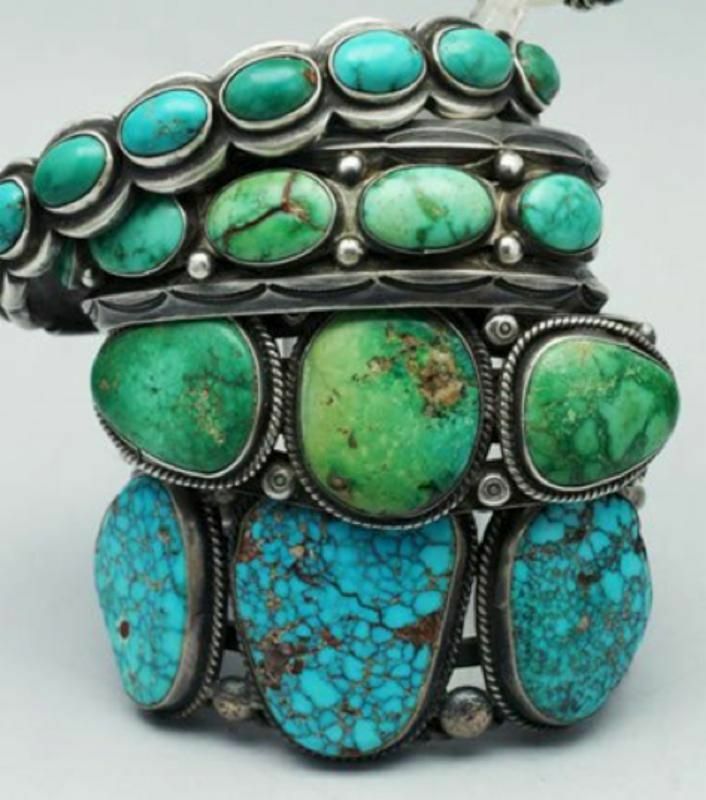 Although the oldest piece of turquoise jewelry was found on a 7,500 year old mummy, the name turquoise, meaning "Turkish stone," was not coined until the early 13th century. The stone was given this name because Europeans believed it originated in Turkey, although it was discovered later that its presence there resulted from extensive trade with Egypt (Gems in Myth, Legend and Lore, Knuth). Turquoise continues to rank as one of the most popular gemstones throughout the spans of time, and is both the traditional and modern day birthstone for December. Despite its earliest recorded history in "the Old World," Turquoise has rich cultural meaning to our Native American nations as well. It is known by some as "the stone that stole its color from the sky." The sky-blue color in turquoise results from the presence of copper in secondary copper mineral deposits that are prevalent in the Southwest. Despite the diverse cultures of the Native American peoples, the stone shares associations with water and rain across the board, making it a symbol of good luck, prosperity, and power. Medicine men & women, shamans, and other tribe leaders would keep turquoise on their person to enhance their power and authority. This deep spiritual belief in turquoise flowed into modern day New Age beliefs as well. In the New Age community, many call turquoise " the stone of spiritual leadership" because of its abilities to aid in group communication & diplomacy, provide insight & visions, and empower individuals to protect their loved ones through action when necessary. Turquoise becomes more and more scarce globally each year. At the same time the market is has seen an influx of imitation turquoise because of the ease with which other stones and resins can be dyed to look and feel natural. Some might wonder if the perceived increase in deceptive leaders of the world correlates with the increasing obscurity of genuine turquoise (spiritual leadership) and flooding of the market with faux turquoise (spiritual deception). On the contrary, we should be reminded to hope that the presence of turquoise in the world will continue to guide each of us to be spiritual leaders, seeking after the greatest good and allowing us to discern the misguided. Remember that turquoise not only empowers each of us to speak our truth for the sake of the world, but more importantly, turquoise teaches us to keep our silence when our speech would hinder progress to good works that benefit the many.